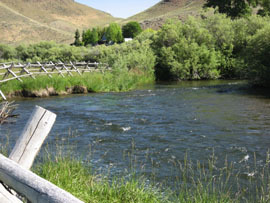 This beautiful ranch boasts some of the finest trout fishing in the state of Idaho. 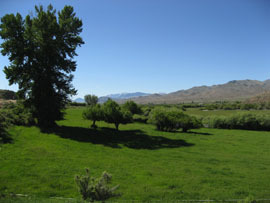 The ranch consists of 117 deeded acres. 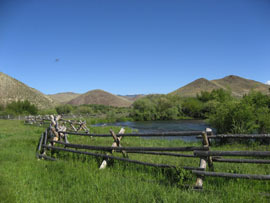 The Ranch consist of lush green meadows, skirted by numerous log fences which protect Pahsimeroi River and the many springs. 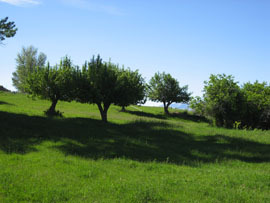 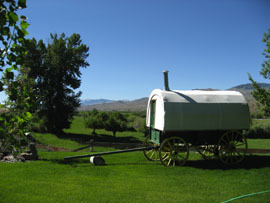 The ranch has a small orchard of apple and plum trees, big game animals and panoramic views. 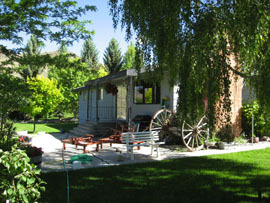 The ranch has a modest 4 bedroom, 2 bath home overlooking the ranch and river. 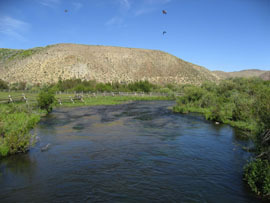 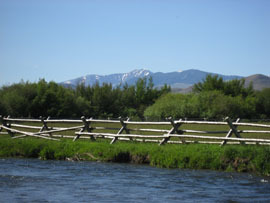 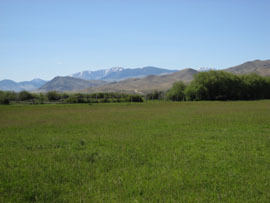 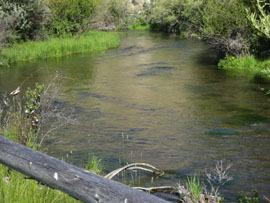 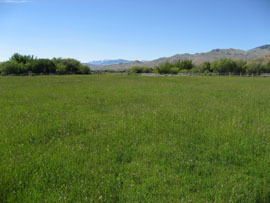 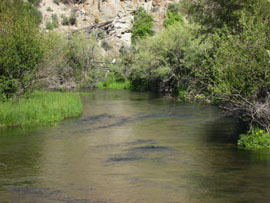 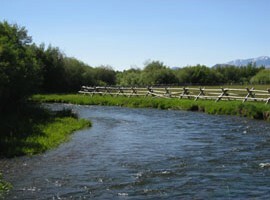 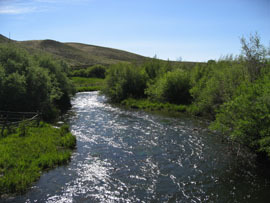 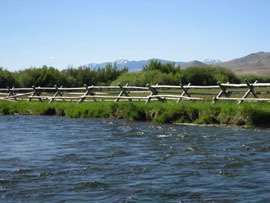 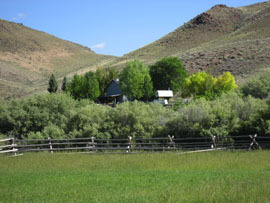 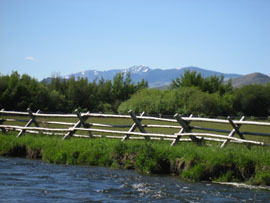 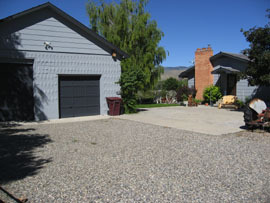 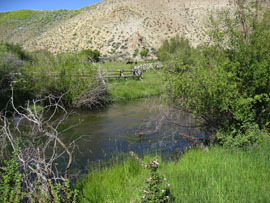 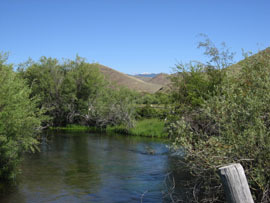 This ranch is located on the confluence of the Pahsimeroi River and the Salmon River. 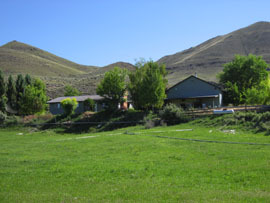 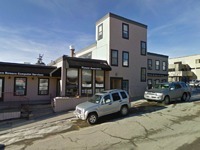 The following pictures show the beauty and splendor of this lovely ranch.